The latest fourth beta version of Mac OS X Mavericks 10.9.3 Beta 4 (Build: 13D28) has been officially released by Apple to registered OS X developers and non-OS X developers (general public) worldwide. Mac users can Download OS X Mavericks 10.9.3 Beta 4 (Build: 13D28) .DMG Update File from below available links. Apple Mac OS X Mavericks 10.9.3 Beta 4 (Build: 13D28) Update contains several new bug fixes, performance enhancement and improvements, addition of new features, system stability etc. OS X developers can update/upgrade current software by simply going to Mac App Store >> Software Update tab and also download latest update via OS X Dev Center website. Apple Mac OS X non-developers (general users) can download and install the latest available update via Direct Download Links of OS X Mavericks 10.9.3 Beta 4 (Build: 13D28) .DMG Update File. It's worth mention that Apple will release more similar updates i.e. 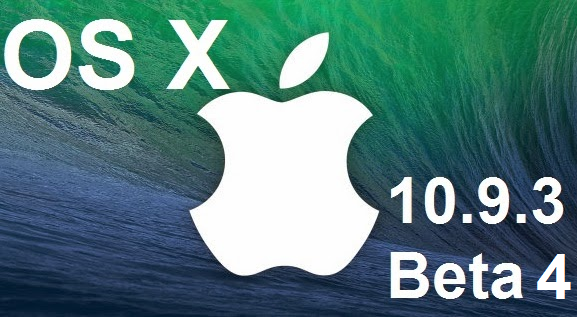 OS X 10.9.3 Beta 5 or OS X 10.9.3 Beta 6 etc. in future.